Are you looking for a simple and efficient way to manage your network? 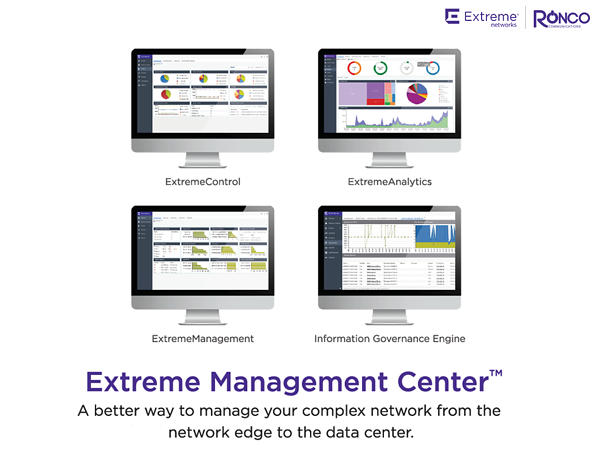 Extreme Networks might have exactly what you are looking for. They have a tool that makes life easier called the Extreme Management Center. 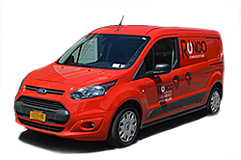 The system is easy to work with and has excellent security. It continually works to fight off cyber-attacks and notifies IT immediately whenever a network issue arises, allowing the end user to have a much smoother experience. This tool provides real-time analytics with extensive information on user activity to help make informed decisions. It also allows for administrators to create customer-driven experiences through a combination of two systems. Complexity is eliminated with a unified view of the entire network through a single pane of view. All in all, this application suite strives to create an easier and trouble-free experience to help manage your network in an automated way. This section provides easy on-boarding through a single integrated user interface. It also allows control and visibility over all of its users and applications. Here it uses deep pocket inspection (DPI) and telemetry that lets administrators examine network traffic for a detailed and accurate information analysis. It also differentiates the network from application performance to help find the causes of any possible issues. Frees up the time it would take if one were to go through IT, as well as the time it would take to correct human error with their cross-domain workflow automation. This segment provides zero touch provisioning (ZPI+) that helps you to bring in new infrastructure online rapidly. Assesses network configurations to help decide the readiness of your compliance throughout the wired and wireless network.